• 1/2 cup of low fat/ fat free plain yogurt (Greek /Balkan/Icelandic make for creamier taste). For added protein, use cottage cheese (you can blend the curds out). 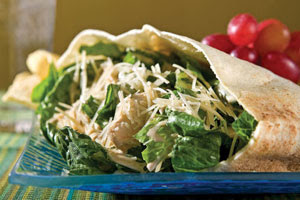 For a lower calorie version, use Walden Farms Caesar dressing instead! • 1 garlic clove, Ground Pepper, Seasoning of choice, Salt. Mix yogurt, salt/pepper, seasoning, mustard , garlic and Parmesan and mix well in a small mixing bowl. Grill chicken @350 F, about 3 minutes per side. When finished transfer to a cutting board and slice evenly, width wise. Keep off to the side. If you have time to sprinkle Italian seasoning , oregano , rosemary etc before-hand, then please do! Feel free to drizzle with lemon juice as well. This not only enhances taste, but significantly reduces the carcinogenic effects of grilling. Rosemary /Oregano and other such herbs are potent antioxidants that guard against free radical damage. Slice cucumber and Tomato. 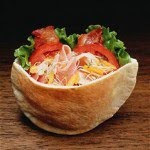 Transfer all the ingredients of the pita to a mixing bowl first, then the dressing, and mix up until well coated. Season to taste. 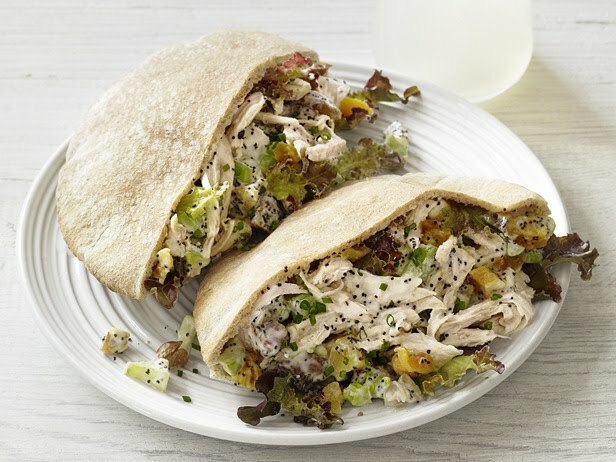 Together with the shredded romaine lettuce, transfer the chicken and cucumbers into the pita pocket. Grind fresh pepper on top. Click here for my guide on Herbs, pairings and taste. More Reasons To Eat Protein Rich Yogurt! Cleansing 101: Essential Cleansing Part 1.